Decoding the VIN (Vehicle Identification Number) is easy for Mustangs. You can go to a site such as the Mustang Decoder, or you can get a very detailed report called a Marty report. 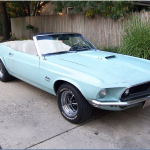 The Mustang decoder is free, but gives you limited information about the options, and colors. The Marty report gives you more information including how many of your exact configuration were built. It is a good idea to find out as much information about your Mustang before you dive in to any restoration, or restomod. 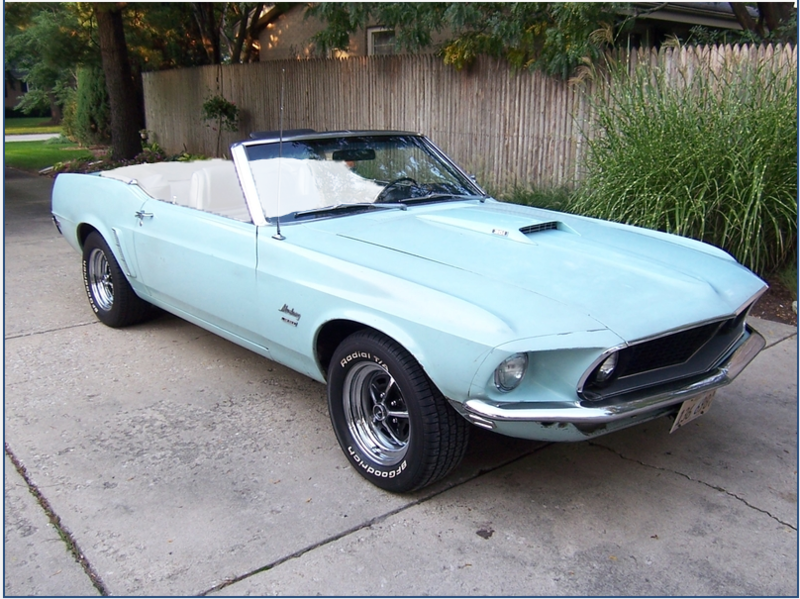 It would be be a real shame to do extensive modifications on a rare BOSS 302, or 428 Convertible. For those cars it would make much more sense to go for a good restoration. The car will be worth more money, and your not depleting the population of rare Mustangs. As you can see that is a lot of light colors together in one car. Not my cup of tea. So I’m going to change the colors. The car when I bought it was blue, with a black interior. I’m not sure what colors I want, and I have a lot of repair, update work between then and now before I have to make a decision.